Imagine you are completely relaxed and protected from the white-noise of the world. You feel weightless, as if you are floating in your own version of space. You have already forgotten the stress of everyday life, and that nagging back pain of yours ceases to exist. You feel, hear, and see nothing – while your body naturally resets its natural rhythms and begins to release tension. Float tanks or rooms (also sometimes called sensory deprivation tanks or floatation therapy) are a not-so-common, but highly effective therapy for anxiety, insomnia, chronic pain, and many other disabilities. According to Australian New Zealand Clinical Trials, people who have tried sensory deprivation are said to experience relief from stress, depression, anxiety, muscular pain and joint pain. These people also said they felt an increase of optimism and sleep quality that lasted long after the session. 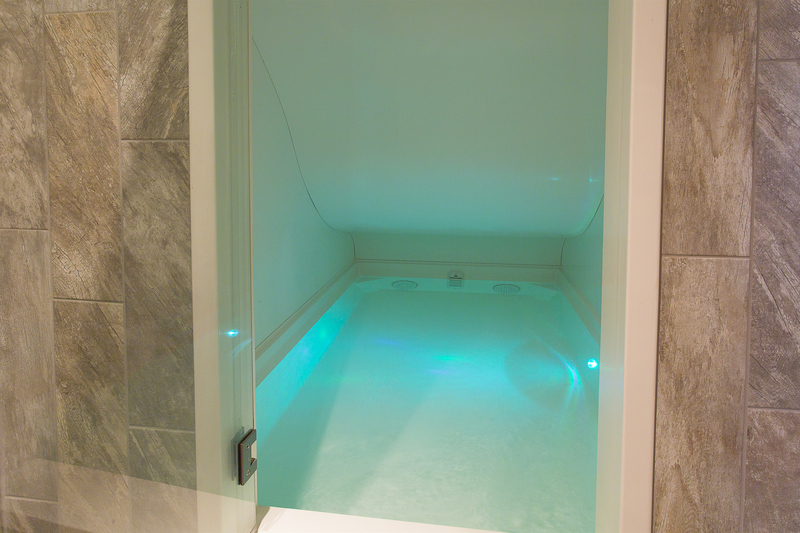 Our high-quality float tank has state-of-the-art sound proofing, preventing any noise while you are floating. While quiet and darkness while floating will gain you the greatest results, you may choose to play music and/or have LED lights on. Once you get used to the closed space and the impact of sensory deprivation, you might choose to turn off the lights and music once you feel comfortable or at a future session. Before getting in the tank, you’ll shower off all oily residue and dirt that you may have on your skin. After that, you step into the float room (yes, naked) and close the door. Once you have found a comfortable floating position, your body experiences a zero gravity sensation. Both the air and the water in the tank are heated to at least 95˚F, or higher depending on your body temperature. Because of this, it is almost impossible to differentiate where water ends and air begins, which is how the tank deprives your sense of touch. Ready to try floatation therapy? Book your appointment below! Be sure to also check out all of our other therapies that can be used in conjunction with floating.